Back cover blurb: 1985. Kazumasa Yuuki, a seasoned reporter at the North Kanto Times, runs a daily gauntlet against the power struggles and office politics that plague its newsroom. But when an air disaster of unprecedented scale occurs on the paper's doorstep, its staff are united by an unimaginable horror, and a once-in-a-lifetime scoop. 2003. Seventeen years later, Yuuki remembers the adrenaline-fuelled, emotionally charged seven days that changed his and his colleagues' lives. He does so while making good on a promise he made that fateful week - one that holds the key to its last unsolved mystery, and represents Yuuki's final, unconquered fear. 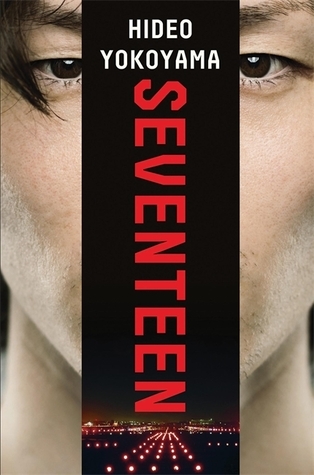 Seventeen is the second of Hideo Yokoyama’s translated novels that I’ve had the pleasure of reading and if anything I enjoyed it more than the first, which is not always the case with second novels, particularly translated ones. Japan Airlines (JAL) Flight 123 provides the background for this novel which centres around Kazumasa Yuuki, a reporter for the North Kanto Times (NKT). Yuuki is about to embark on a climbing expedition with his best friend at the paper Anzai when disaster strikes. A jumbo jet has crashed, literally on the newspapers doorstep with an unprecedented loss of life. Seventeen years later and Yuuki is about to try the same expedition again with Anzai's son. Just getting to the bottom of the mountain throws him back in time to that fateful week in which disaster struck Japan. Described as an investigative thriller set in the aftermath of an air disaster, Seventeen isn’t a thriller as we would perhaps usually know them in the UK, but there is something with this novel that left me unable to put it down. I’ve previously read that Hideo Yokoyama regards the crime as the least interesting part of the stories he tells. The crime in this novel could be perceived as the horrific crash that causes the investigation that NKT are keen to get to the heart of, or it could be the way that these events are covered by NKT and other news channels. Seventeen is available from 8 February 2018.